Lewis Yancey Beadles was born on the 27th of April 1781 and named for his maternal grandfather Lewis Yancey, who had died serving in the Revolutionary War in 1777. In Charlotte County, Virginia on the 6th of December 1802 at the age of twenty-one, he married Martha C. Vaughan, daughter of Nicholas Vaughan and Elizabeth Williams, formerly of Amelia County. He served as a private in the 4th Regiment of Greenhill's Virginia Militia during the War of 1812. Serving in that same militia company was Miles Holt, brother of Mary Holt Wingo. After serving in the war, the family is found by 1817 on the tax lists of Halifax County where his father William would also relocate by 1820. Lewis Yancey Beadles is recorded in Caswell County, North Carolina in that census but it may not have been a great distance geographically. 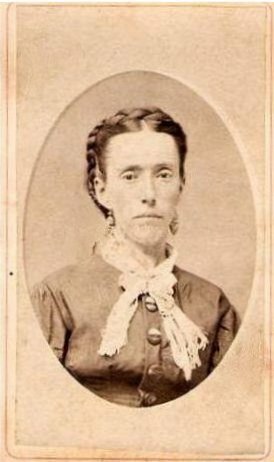 Numerous other members of the Yancey family also lived in Caswell County. When his father died intestate in Pittsylvania County in 1827, Lewis was the administrator of the estate. Within a few years after William's death, Lewis, along with his children and their families, left Virginia and migrated to Kentucky's Jackson Purchase area. Lewis Yancey Beadles died in Graves County, Kentucky on 28 Apr 1838 and Martha died just two years later on 15 Feb 1840. Although they surely lived close to the Wingo, Kentucky area where most of their children initially located in Graves County, no gravestones have been found for either of them.